Interested in watercolor and abstract art? Interested in jewelry making? 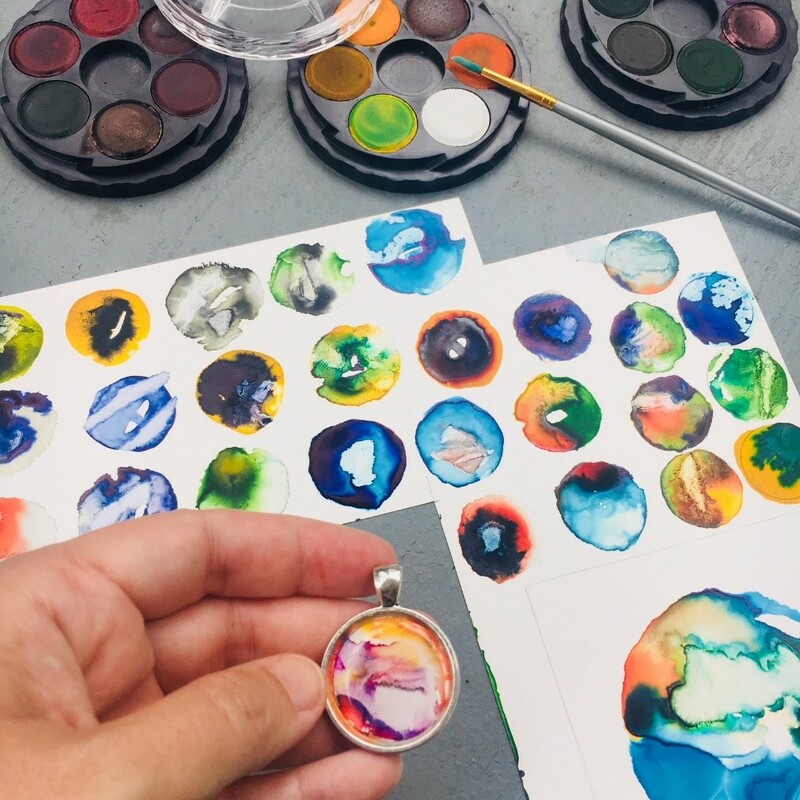 Then, join Martina Sestakova, painter and teaching artist, for a class, during which you will create a unique circular pendant through an abstract composition in watercolor on yupo. Yupo is a synthetic paper made of polypropylene; it is completely non-absorbent. No experience is necessary in this class. You will learn the basics behind abstract art, play with colors and textures, and create a pendant with your own unique abstract painting. Cost includes all materials.